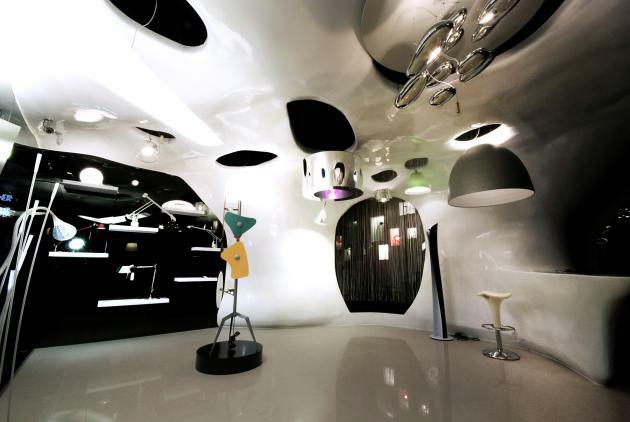 CROX Architects have sent us their work on the Artemide lighting store in Taipei, Taiwan. 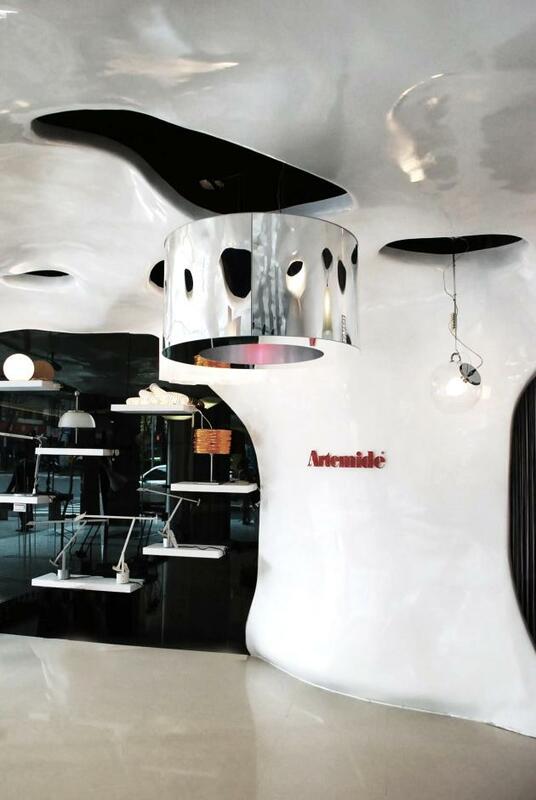 Responding to Artemide philosophy, lighting is a source of physical pleasure and mental comfort, CROX beautifully embellishes the first Artemide Flagship Store in Taipei Downtown with the concept of the brightness and the sense of hope by interpretating the scene of sunlight breaks through the cloud. 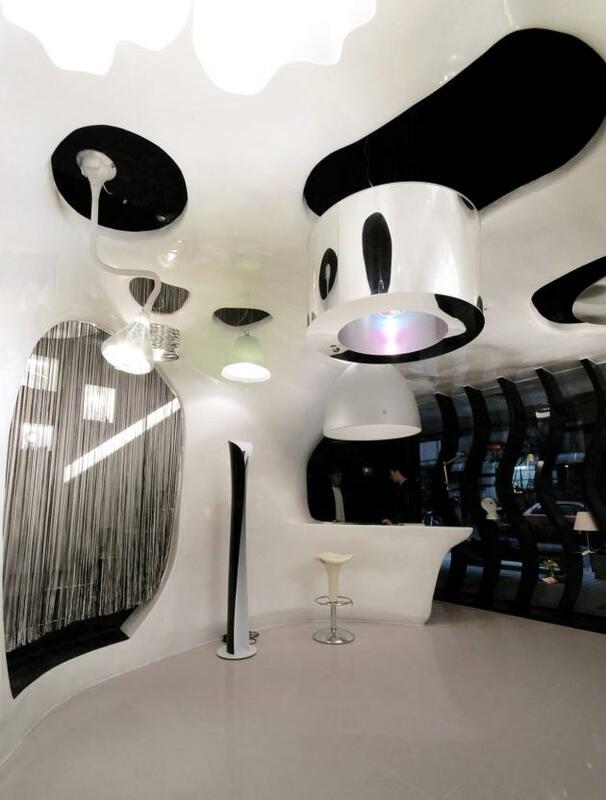 From concept to realization of the design, CROX uses the high strength yet light weight fiber-reinforced polymer(FRP) to make one piece freeform possible; extending from the ceiling to the wall and forming the counter desk. The hanging form covers the posts and beams creating the surreal atmosphere. Carefully crafted and installed by the experience FRP maters, this sculptural composition is finished with glossy paint to give a visual illusion of a large store space. 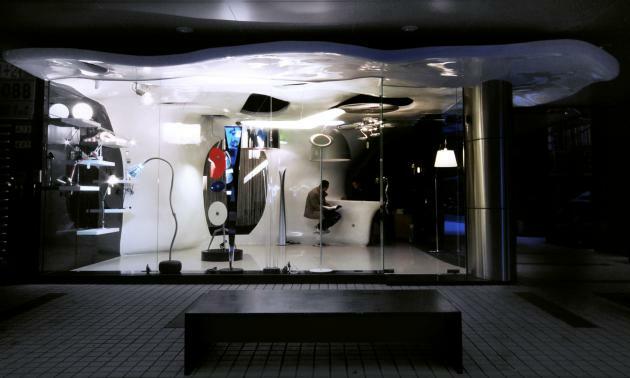 The two-floor store installing with the big window glasses evoking the nearby neighborhood through the engaging reflection and curvilinear form. Visit the CROX Architects website – here.